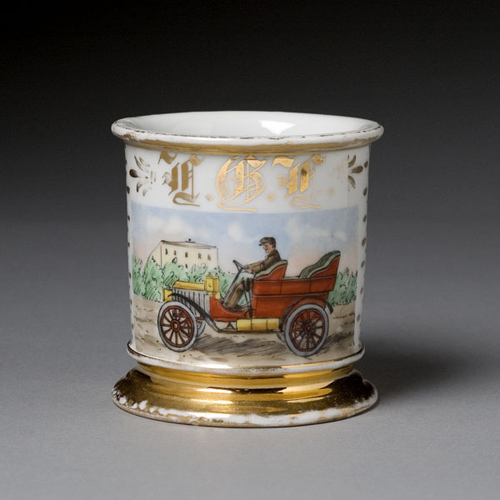 Shaving Mug with Man in Early Automobile, porcelain with polychrome painted outdoor scene of a man driving an open automobile. Clearly an early car, the automobile is shown on a path with trees and a building in the background. With blue monochrome wrap and gilt borders. Gilt initials T.G.F. Stamped Germany on bottom.